An NYPD police official on Thursday defended the city's intention to destroy personal records of holders of its immigrant-friendly municipal ID cards. John Miller, deputy commissioner of intelligence and counterterrorism, testified in a courtroom that the ID is not a terrorist tool and that few people have tried to obtain it fraudulently or use it to commit crimes during the two years since it was first issued. "Criminal implications over the trial period were de minimis," Miller said. 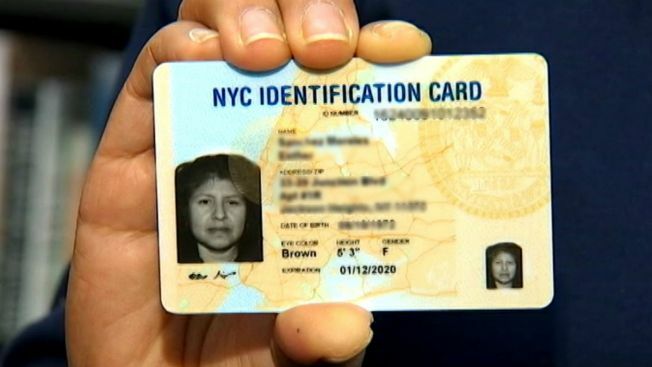 The identification cards are available to any New York City resident but were aimed particularly at people without other forms of ID, including the estimated 500,000 immigrants living illegally in the city, the nation's biggest. In drafting the legislation for the ID, the city included a provision for destroying personal information partly out of concern about the possible election of a Republican president such as President-elect Donald Trump, whose campaign promises included deporting millions of people living in the U.S. illegally. For now, courts have ordered the city to retain the records. Two Republican state politicians sued, saying destroying the data would violate state public-records law. The city, however, announced recently it won't keep personal records from future applicants. Democratic Mayor Bill de Blasio has said city officials wouldn't "allow ourselves to be in a situation where those records would be turned over to the federal government." In a hearing on Thursday in Staten Island, Miller said the ID has given identification to many people who live in the shadows and were afraid to report crimes. He also said retention of personal records by the city could lead to more cases of identity theft. According to a recent city report, more than 1 million New Yorkers have the ID. So far, 102 fraudulent applications have been detected. The commissioner of the Mayor's Office of Immigrant Affairs, Nisha Agarwal, testified that while the city was no longer keeping copies of documents like passports it maintained applications and photos. "We're not purging the entire database," she said. The judge did not make a decision at Thursday's proceeding. Another hearing on the matter is planned for next week. Municipal ID programs began in 2007 in New Haven, Connecticut, and have expanded to about 10 cities, including Los Angeles and San Francisco. New York's program is the most ambitious.